The early Ford racing cars began when in 1901 Henry Ford built the wooden-framed 'Sweepstakes' model powered by an 8.8 litre twin cylinder engine. Needless to say, this early effort wasn't exactly successful. It handled like a pig, wasn't very fast and as self-centering steering hadn't yet been invented, the steering had to be manually unwound after every turn. The Ford 'Sweepstakes' model won it's first motor race in October 1901 when it beat the favoured entrant in the laughably named 'world championship' - a 10 mile race at the Grosspoint, Michigan racetrack with an average speed of a little under 45 miles per hour. This victory won Henry Ford not only the race, but more importantly considerable support and financial backing which, in turn allowed him to establish the Ford Motor Company and to build his second racing car which he dubbed the 'Nine, Ninety Nine'. Although still very basic, the 999 was streets ahead of the competition and on October 25th 1902, Barney Oldfield set a world record when he drove it at a mile a minute and a new era of motor racing history was born. Ford saw racing as a means to an end but his real ambition was to build cars for the masses and he succeeded in doing that with his famous low cost, high volume Ford Model T and it was this car that made him his initial fortune and turned the Ford Motor Company into an International powerhouse. He didn't forget racing though and he fully appreciated the value of continuing to see his racing models manage to get first past the post. He continued to sponsor racing all the while he expanded his automotive empire. In the late 1920s, at the urging of Preston Tucker, (later to design the Tucker Car of the Future), Edsel Ford was persuaded to sponsor the Indianapolis 500 racing efforts of the race driver Harry Miller and as a result of that collaboration, the Ford V8 engine was launched in 1932. This engine quickly went into mass production and soon became ultra popular with the hot rod enthusiasts of the time. After WWII, Ford began competing in NASCAR championships and were very successful. These cars were derived from the prohibition era, moonshiners who had to drive fast to outrun the Government agents that regularly pursued them in their attempts to seize the moonshine and send the drivers to jail. In 1957, an agreement between Ford, Chrysler and General Motors to stop sponsored racing put the brakes on the racing scene but not surprisingly, sales fell. Europe however, was still open to factory racing and their European GT Competition races were thriving. The European GT or Grand Touring cars of the 1950s and 60s were the world's most advanced, expensive and sophisticated cars of the time, and they delivered incredible performance for the period. By the mid 1960s, the American quest for speed had resulted in the General Motors, Pontiac division launching it's soon to be iconic GTO model. Ford responded to this with it's high performance Ford Mustang..... but this was never enough for the Ford executives. Their involvement in the European racing scene had gotten them interested in the European supercars and they were especially interested in Ferrari. At the time, the Ferrari 250 Le Mans or 250LM was a grand touring class car of renown and was dominating the famous Le Mans 24 Hour Race and it's racing victories were boosting Enzo Ferrari's sales figures dramatically. Ford decided they wanted a piece of the action. Consequently, Henry Ford II sent a team to Italy to make a deal to buy the company for the agreed price of US$16M. At the last minute, Enzo Ferrari told Ford he didn't want his cars to compete in the Indianapolis 500 because he felt it would be demeaning to his cars and his name to see them doing nothing more than racing around an oval track and that he'd only sell the company with that stipulation. Ford assembled a design team to develop a car with only one purpose - to beat Ferrari and win Le Mans. Their design was derived from the English Lola GT and Henry Ford II gave them an unlimited budget and told them to 'get the job done'.....and so, the GT40 was born. GT stood for Grand Tourer and 40 because the car was to be just 40 inches high. The 256 cubic inch, 350 horsepower engine had been developed for Ford's Indianapolis cars and the designers were confident their new baby would make 200 mph with room to spare! By April 1964, two new fibre glass bodied GT40s were ready to be unveiled to the public during the first practice laps of Le Mans in preparation for the June race. These practice laps were the first time the GT40s and Ferraris had met and the heavy rain added to the tension. It wasn't long before one GT40 spun off the track at 160 mph and soon afterwards, the other GT40 did the same thing. Not exactly the most auspicious start to the GT40s racing career. A month later, in May, Ford and Ferrari clashed at the Nurburgring in Germany. Things didn't go any better for Ford. The vibration from the rough race surface caused the GT40s to suffer transmission problems and Ford withdrew from the race. However, Ford had learned a lot from their experiences and they very quickly altered the suspension and added both front and rear spoilers. June 20th 1964 saw the arrival of race day at Le Mans and 3 GT40s took their places on the track for the gruelling 24 hour race. The race didn't start well for Ford when one of their race cars driven by Phil Hill, failed to start due to fuel evaporation problems. It didn't take him long to get it going but those vital first few seconds were lost. Right from the start, the other GT40s took the lead and despite his slow start, Phil Hill set a new lap record for Le Mans at slightly over 131 mph. Then things started to go wrong when two GT40s developed transmission problems and the third broke a fuel line. For Ford, the race was over and the race was won by Ferrari. Soon afterwards, Ford raced against the Ferrari team at Rheims and again at Nassau and on both occasions, they developed technical problems. Henry Ford II was not a happy man and he recruited Texan Carol Shelby to take over the project. Shelby was an ex-race car driver and in 1959 had won Le Mans in an Aston Martin but had been forced to retire from the track after developing heart problems. However, he felt he wasn't done with the motor racing world and had started his own race car team using a car developed from the famous English designed and made AC Cobra. Shelby was given just two months to prepare two GT40s for the 2000 Daytona Continental race and with the famous Ford unlimited budget and incredible engineering resources, Shelby knew his only limitation was his imagination..... and he had plenty of that! He used Ford's aerodynamic division to solve the airflow problems, installed the more powerful 289 cubic inch engine that he'd used in his Cobras and took two GT40s and two of his own Cobras to the race. Ferrari had also entered a team and the world looked on to see which of the trio of motor racing giants would vanquish the others. Finally the results were good with a GT40 taking first place, a Cobra coming in second and another GT40 managed a very close third place. Finally, all that time, money and effort was beginning to pay off! The next race was the 12 hour International Grand Prix at Sebring and again, Shelby bought the two GT40s and his own Cobras along to compete. This was a stunning race. One GT40 sat right on the tail of the leading Ferrari, the other GT40 dropped out due to suspension problems, a Corvette Chevelle was challenging strongly and heavy rain added to the problems and excitement. Towards the end, the lead Ferrari dropped out with axle problems, the Corvette Chevelle came in first with the GT40 taking a close second place. Shelby and his team were ready to challenge the world! Ford then entered their GT40 team in the Targa Florio race in Sicily shortly before the Le Mans 24 Hour Race and they knew it would pit their GT40s against the Ferraris in their home country for the first time. The Targa Florio is a road race through the fast, twisty mountainous roads of Sicily and in some these roads are similar to the Isle of Man motorcycle TT race course. The Ferrari drivers knew the roads well and their cars were built and well set up for the conditions and that advantage gave them the flag. One Ford spun off and had to retire due to technical problems. Soon after came the Le Mans 24 Hour Race and Shelby sprung the GT40 MkII on Ferrari. This new model had the same Ford 427 cubic inch, 460 horsepower engine that he'd recently fitted to his Cobras. These engines hadn't been fully developed and sadly both Fords quickly developed engine problems. Ferrari again took the chequered flag. Ford still weren't ready to give up and in 1966 they returned to Le Mans with no less than eight GT40 Mk IIs and five more smaller-engined GT40s. There were five more GT40s entered by private competitors. Ferrari fielded seven cars against the GT40s and three more in a smaller class. The battle of the giants had begun! By dawn's early light, five GT40s survived and soon after another was forced to drop out with broken suspension. Shortly afterwards, the lead Ferrari crashed and although the driver was able to thankfully walk away, the way was open for Ford to take the lead and the GT40s took first, second and third places and recorded an average speed of 126 mph. Finally Ford had won the World Championship! In 1967, Ford returned to Le Mans with their new aluminium honeycomb chassis and fibre glass-bodied GT40 Mk IVs that were driven by Andretti, Hulme, Point and Gurney. Hulme set a record 148 mph lap record but then Andretti crashed and two other GT40s ran into him and all three were out of the race. Morning saw a GT40 in first place, followed by three Ferraris with a GT40 in fifth place. Soon after, the tail GT40 and a Ferrari dropped out and it was Ford in the lead with two Ferraris chasing his tail pipe. Slowly the Ferraris dropped back and the race ended in first and forth places going to Ford with Ferrari in second and third place. Henry Ford II had won. There was nothing more to prove, he was satisfied and on his instructions, Ford withdrew from the world of racing. Ford UK continued to develop the GT40 series and for some years they were raced by independent drivers however, the cars slowly faded into history. A few replicas were made by a variety of kit car manufacturers and few of the original race cars still occasionally grace the vintage competitions and motor shows but the love and the spirit if the Ford GT40 lives on. Some years later, three Ford executives were sharing a flight on a corporate jet and the subject of the GT40 came up. By the time the aircraft had touched down at it's destination, sketches had been drawn on paper napkins and the idea of a new GT40 was born. They had decided the model must be finished and ready for launch for the forthcoming Ford Centennial. A big challenge for the design team who were tasked with producing a new supercar that paid homage to the original GT40 but was relevant to the current motoring trends and they had just over a year to accomplish it. The vehicle they produced was 18 inches longer and 4 inches taller but it's style and lines were echoes of the original and classic Ford GT40. The voluptuous and elegant GT40 is a living legend that took the motoring world by storm and values are some of the highest of the classic car markets. Buy one and you'll never lose money on it. Henry Ford II proved he didn't need to buy Ferrari to win races but it's rumoured that whilst Ford could have bought Ferrari for just US$16M if he'd swallowed his pride a little. Victory with the Ford GT40 series must have cost him around one billion US dollars - but we should all be glad he was a proud and stubborn man, because if he hadn't been, we wouldn't have had his wonderful GT40s. 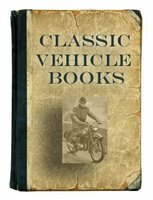 Check the books on the history of Ford, Ford models, Ford manuals and videos. Check the specific Ford GT40 books, videos and manuals.